This is a guest post. If interested in submitting a Personal Finance Blog Guest Post please read our guest posting policy and then contact us. Tipping during the holiday season to those who provide you a service all year long is a polite and generous acknowledgment of your appreciation for their service. A monetary bonus or tip for a hardworking housekeeper or gardener of $20 to $50 is acceptable, depending on how much they usually earn. Tip the babysitter the equivalent of what you would normally pay them. For a child’s school teacher, have the student give them a small gift such as a box of cupcakes or cookies they can enjoy during the holidays –money isn’t appropriate. For those who are loyal to one particular stylist or manicurist, a tip equivalent to a single session is considered traditional, as well as considerable. Although tipping each time you get a cut or manicure is the right thing to do, if you don’t use the same hair stylist or manicurist each time, there is no need to give them an extra tip during the holidays. You should tip a favorite regular bartender an extra $20 to $40. By law, your mail carrier is prohibited from accepting cash, but you can give them gifts valued at, or under $20. For a UPS or FedEx delivery driver, give them a gift card redeemable at a local lunch spot or coffee shop like Starbucks. 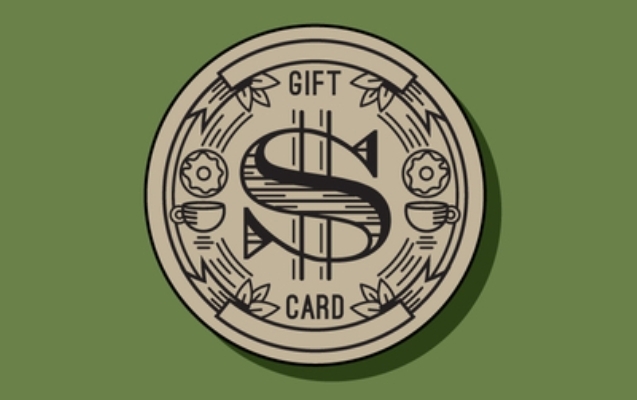 In general, if you are tipping someone less than $20 it is more appropriate to give them a gift card instead of cash. Gift cards are a great gift for just about anyone and make for a quick, last minute gift solution. They are also an easy and always-appreciated gift when you are faced with the dilemma of not knowing what exactly to give someone. Just hone in on something they enjoy – whether that’s Apple iTunes downloads, lattes at Starbucks, or DIY supplies from Lowe’s or Home Depot. When you’re really unsure about what to give, cash is the best one-size-fits-all gift. One of the safest and most elegant ways to present cash to someone is through a gift card from a credit card issuer or bank coupled with a sentimental card or hand written letter. These are not debit or credit cards, although they may look just like one or the other. Instead, they are prepaid plastic cards that are loaded with a fixed dollar amount. You may choose from a variety of different designs – including those with colorfully attractive holiday themes – and your recipient may use it anywhere that credit cards are accepted. Purchase them in a dollar amount that suits your needs. You will pay a small surcharge on top of the face value of the card but the person you give it to will not have to pay any activation fees so the card will work just like money. There are even electronic versions of cards that you can send over the Internet. Your recipient activates and accesses the card funds online. American Express is perhaps the best-all-around cash funds type of gift card. When shopping for a card, however, it pays to dig deeper and check the terms and conditions. I noticed American Express does not ship gift cards to the states of Hawaii and Vermont, for instance, so if you live in one of those states you may need to seek an alternative. Gift cards have an expiration date printed on them, too, and merchants won’t accept them after that date. An Amex gift card is still valuable, though, as long as it has a balance on it. Just contact American Express and they will issue you a replacement card with a fresh expiration date, free of charge. The Wells Fargo Visa gift card can also be replaced free of charge with a simple phone call, as long as you still have the card and have not spent all the funds on it when the expiration date arrives. You may forget to call Wells Fargo for a replacement, however, so when you receive your Wells Fargo Visa gift card, you can register your card with Wells Fargo and they will automatically mail you a check for the remaining funds – minus a $15 administrative fee – within 90 days after expiration. You could lose a significant portion of your funds that way, though, because if you had a remaining balance of $30 the fee would wipe out half of that. If your remaining balance was only $15 you’d lose it all because it would be canceled out by the fee. The best strategy is to use your card balance up before the expiration date. There are online marketplaces that specifically cater to those who want to buy and sell unused gift cards, and you are able sell your old (but still valid and not expired) card or buy one at a deep discount. Two of the leading sites are Card Pool and Raise. Visit those sites for a plethora of merchant gift cards spanning a vast range that sell for as much as 35% off, or you can list and sell your unused pre-owned gift cards. Sites like these typically require that the card still has a balance left on it of at least $20, and they let you decide what sales price you want to put on it when you list. After the card has been purchased and paid for, the site will then notify you to ship the card to the buyer. Tom Kerr writes for the blog at Comparecards.com in addition to others. He has been an avid writer for years, even winning awards for work he’s done.